A female loggerhead sea turtle lays her eggs around four o'clock in the morning on Thursday, July 20, 2017 on Keewaydin Island. 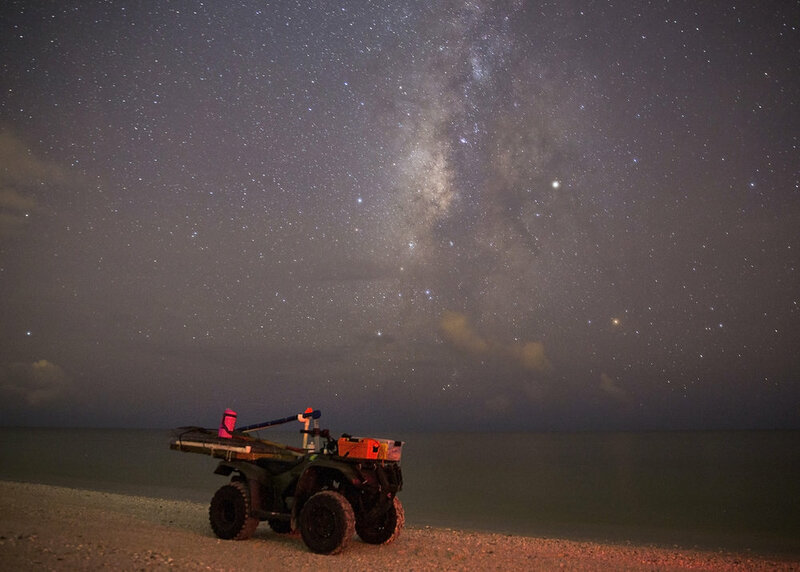 The Conservancy of Southwest Florida turtle interns patrol the beach from sundown to sunrise, looking for nesting turtles. Michelle Sparks drives onto the beach, following fellow intern, Ivana Lezcano, on Thursday, July 20, 2017 on Keewaydin Island. 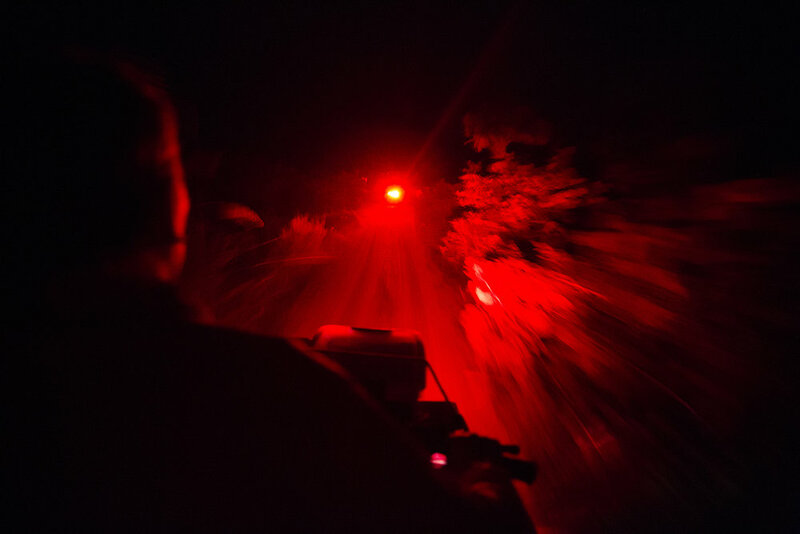 The vehicles are equipped with red headlights. Lights can distract and disorient the baby sea turtles when they hatch. 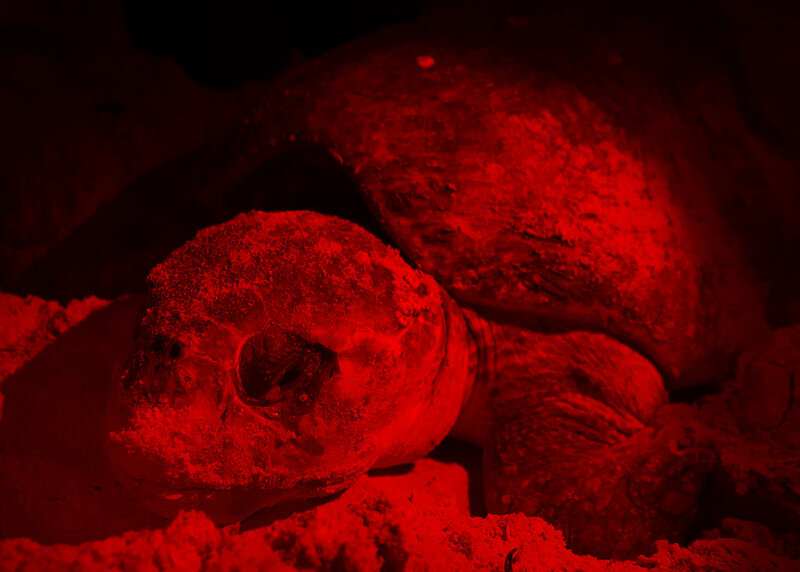 Red lights are less intrusive to the turtles. 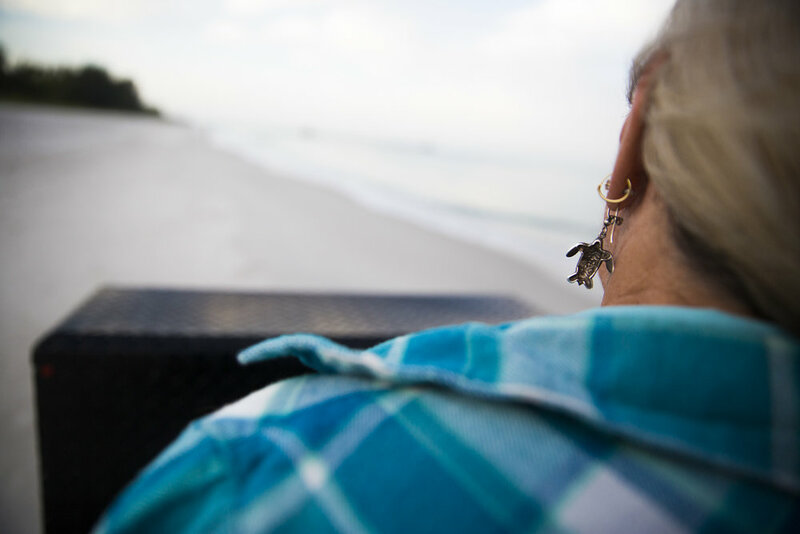 Maura Kraus, sea turtle program coordinator for Collier County, drives down Naples Beach on Sunday, April 30, 2017 looking for sea turtle nests. The official sea turtle nesting season begins on May 1. 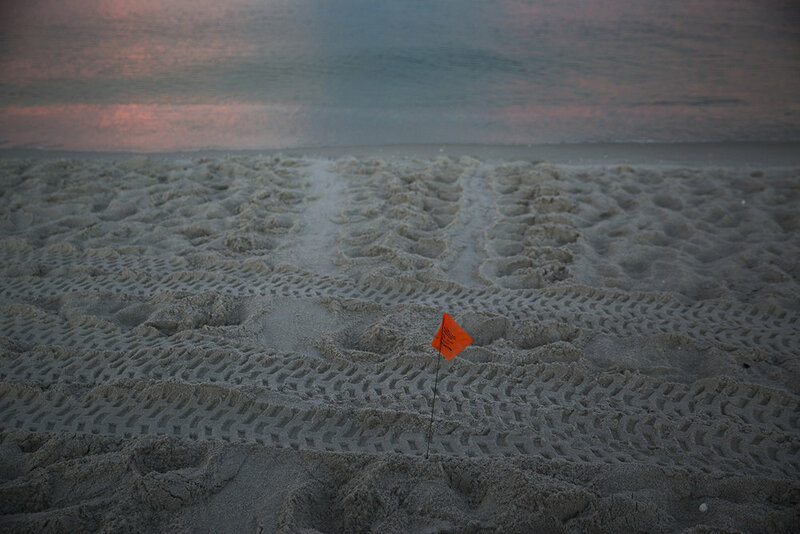 A flag marks a false crawl on Saturday, July 15, 2017 along the beach in Downtown Naples. Maura Kraus, sea turtle program coordinator for Collier County, right, and Maddy Kenton, sea turtle intern with the Conservancy of Southwest Florida, mark a new sea turtle nest on Saturday, July 15, 2017 along the beach in Downtown Naples. Kraus and an intern patrol the beach every morning, looking for new and hatched nests. Maura Kraus and Maddy Kenton count the hatched eggs while excavating a nest on Saturday, July 15, 2017 along the beach in Downtown Naples. Ivana Lezcano opens an egg that failed to hatch, revealing a partially developed sea turtle on Thursday, July 20, 2017 on Keewaydin Island. 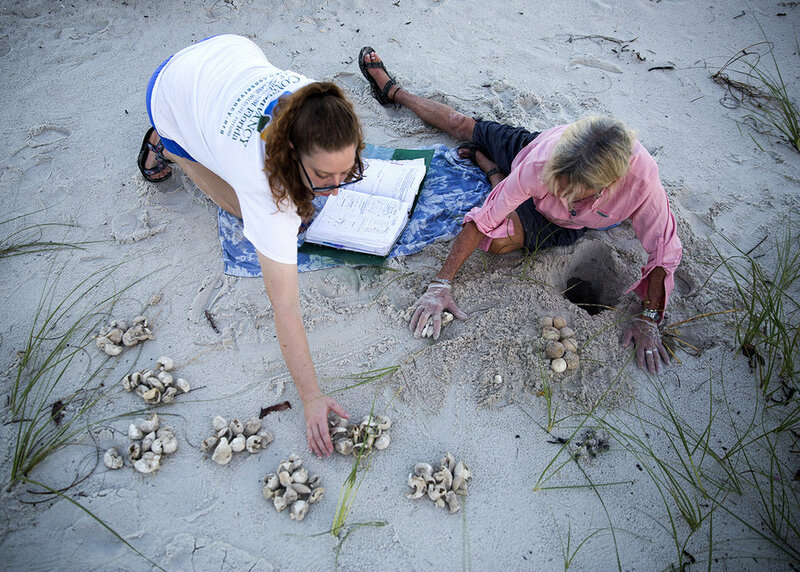 When excavating the nests, the sea turtle interns take note of the number of eggs that hatched and and those that didn't. For the eggs that did not hatch, they record the stage in the development cycle where the turtles died. Residents look out from balconies on Friday, October 31, 2016 at South Beach on Marco Island. Midnight marks the end of turtle nesting season. As it begins to get darker earlier, lights from surrounding condos disorient the hatchlings. 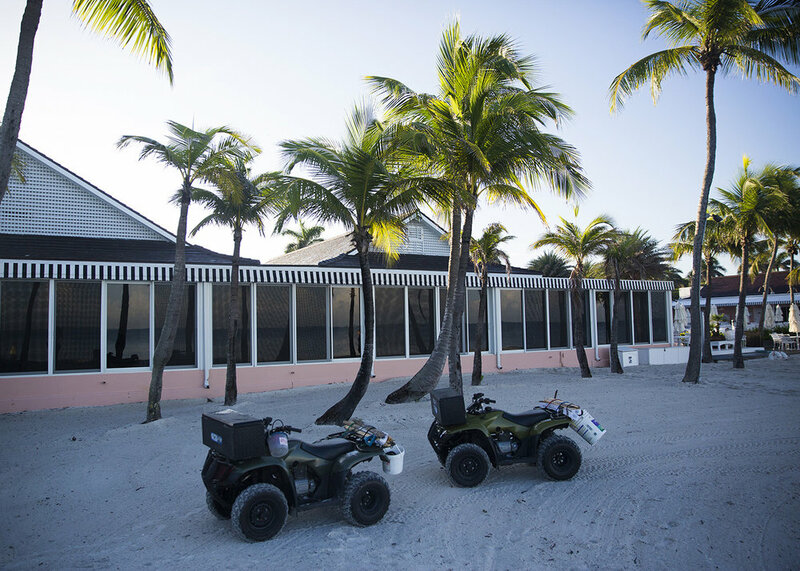 Kraus and Kenton use all terrain vehicles to cover the roughly 5.6 miles of beach in the morning on Saturday, July 15, 2017 along the beach in Downtown Naples. Ivana Lezcano and Michelle Sparks, the turtle interns, wait for the turtle to finish laying her eggs on Thursday, July 20, 2017 on Keewaydin Island. Lezcano and Sparks then found the eggs and placed a cage over the nest to protect it from predators. Ivana Lezcano, left, measures a nesting sea turtle as Michelle Sparks takes down the information on Thursday, July 20, 2017 on Keewaydin Island. As the turtle begin to lay her eggs, she goes into a sort of trance. This is when the interns gather their information. A loggerhead turtle lays her eggs on Thursday, July 20, 2017 on Keewaydin Island. A female loggerhead turtle crawls into the Gulf of Mexico after laying her eggs on Keewaydin Island.